We are selling raffle tickets for a Remington 870 - 20g along with a $200.00 and $100.00 Visa Gift Card. The drawing will be at the social, 4-28-19. We will be selling tickets at many of our gatherings as well as the Social. Tickets $1.00 or 6 for $5.00 - You do not have to be present to win! 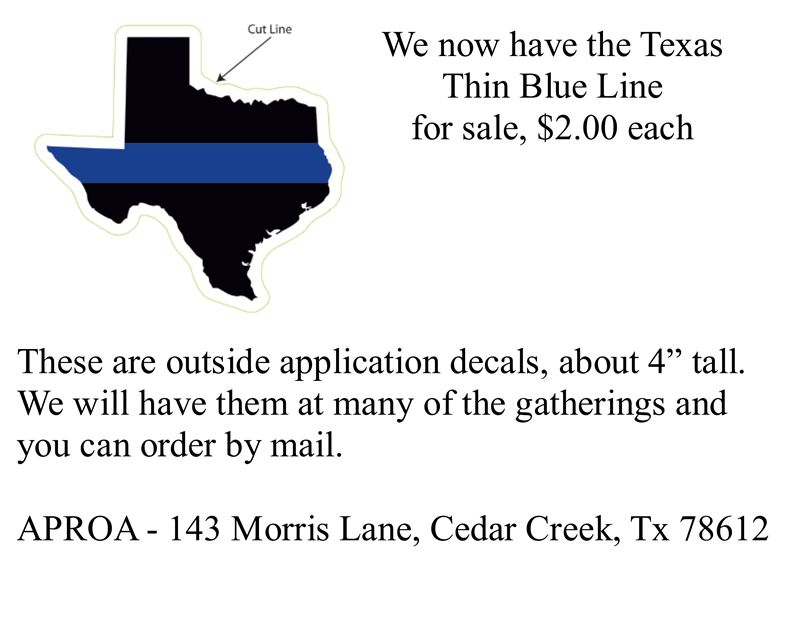 Note: Cut off date to order by mail is 4-20-19. CLEAT did a side-by-side comparison with City of Austin Plan and CLEAT plan. Before you donate to that Charity you think is doing a good job, check out how they spend your donations. Courtesy of austinpolice.com, Austin American-Statesman, Local News Channels, and Austin Chronicle. Generic templates for TEXAS wills are now available on our site. New documents and procedures have been instituted for obtaining the approval to carry a concealed weapon as a retired peace officer. All documents and instructions are posted in the Firearms Information section of this site. Be sure to read the Instructions documents as the policies have undergone considerable changes! Note: If you find that any information and/or documents on this site are out-of-date, please contact Randy Malone so that he can get it corrected.